Oxidation Technologies specializes in ozone system integration of automated turnkey ozone systems for most any ozone applications. We supply ozone systems, ozone generators, and ozone-related accessories along with providing service, repair, and maintenance services. Whether you are looking for your first ozone system, upgrades to your existing system or service and maintenance parts let our ozone application experts help you find the right equipment for your application. We would be glad to put our experience to work for you. One of our primary focuses is safety; therefore we carry a wide variety of ozone gas sensors, along with other gas sensors for most every potentially toxic gas. Oxidation Technologies was formed by ozone application experts who wanted to take knowledge of ozone and uses for ozone to new heights. We have been providing ozone system integration and ozone products for over 20 years. We now offer ozone integration along with H2O2 or UV systems to provide Advanced Oxidation Process (AOP) Solutions. Our goal is to provide engineering services along with consulting and basic advice on how ozone may work for your application. We know ozone is easy, but ozone application is not easy and requires knowledge, experience, and the proper equipment for the job. We want every ozone installation, whether it is ours, or an existing system to achieve the goals required and to create a positive reflection of the ozone industry as a whole. 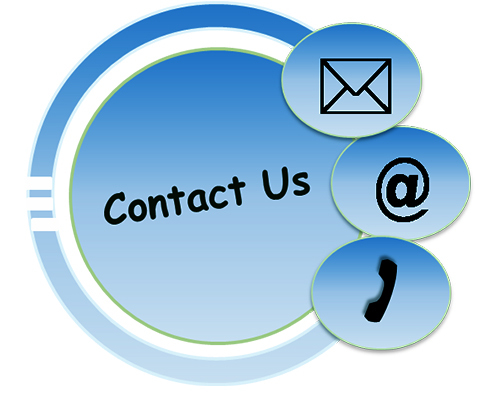 If you need help with your ozone oxidation application, or even just have a question of if ozone or other oxidation is right for you, please contact us today. We would be glad to see if we can put our experience to work for you. Shipping of packages is done from our location in Inwood, IA (in the northwest corner of the state). Our preferred shipping method is via package carriers, such as UPS or FedEx. This gives the ability to track packages, helping both us and our customers solve problems related to shipping if such problems should occur. Oxidation Technologies does not release or sell our customer information to any third parties. The customer information that we enter into our system, or that you enter into your customer profile, is done solely to streamline business between us and our customers. It allows us to process orders more quickly, which makes for quicker service to you. We retain that information as securely as possible to prevent unauthorized leaks or access. Returns and Replacements must be coordinated through Oxidation Technologies before shipping items back. This process is started by contacting us via either phone or e-mail. If troubleshooting does not resolve your issues and replacement is necessary, a Return Authorization will be given. With that necessary information, you can include the Return Authorization number on your package when you place your return. Devices returned in good working order for refund will be subject to a 20% restocking fee. Custom built units are subject to a 30% restocking fee. Ordering can be done via website or phone. We encourage you to use our website – it offers the ability to inform, search, compare and purchase items quickly and efficiently. If you have questions that are not answered online or if you prefer to order by phone – we will be happy to speak with you! An e-mail or phone call will get the conversation started. To the best of our ability, online pricing is current and accurate. Sales and promotions are indicated online and may be mentioned in advertisements or newsletters as well. Payment can be made online via credit card, or by check and purchase order if arranged beforehand with Oxidation Technologies.